After you have decorated your Park City home with your fall decorations, you may be ready to look for other fun autumn activities. To help you and your family find the best things to do in our city, we have made a list of the 10 best fall activities in Park City. There is a great deal of history surrounding Park City, and much of it can be terrifying. If you like a thrilling, historical tale, try the Park City Ghost Tours this fall. Take a leisurely evening to enjoy a food and wine tasting class at Fox School of Wine. Beginners and experts can find new things to enjoy, as the classes are based on a new topic every month. Naturally, you need to be 21 years old or older for this type of fall fun. Every weekend through October 21, you can head to the Snowbird resort near Park City and indulge in the German tradition of Oktoberfest. Enjoy live music, a variety of food and drink vendors, performers, and more. Entry into the event is free, but parking is paid and often crowded for this popular event, so plan ahead. If you don’t have a bike to go exploring on, no need to worry. Park City has recently started a bike rental initiative, so you can rent one and explore this gorgeous area on a bike. A particularly beautiful pathway is the Union Pacific Railway Trail, with miles of paved trail so you can enjoy a smooth ride through the stunning fall foliage. The Park City Farmers’ Market is still open every Wednesday until October 25. Catch the last of the fresh fall produce and other goods by stopping by your favorite stands this autumn. You and your pooch are invited to participate in Howl-O-Ween, with the children trick-or-treating on Main Street taking place from 3-5 pm and the dog parade happening at 5 pm. The Main Street will be closed by 2 pm, so make sure you make transportation arrangements! Prepare for all the candy on Halloween by bringing the whole family to the Jaybird Halloween Fun Run party. All ages are welcome to participate in the 5K run/walk, with the race starting at 6:15 pm with a pizza party and activities to follow. 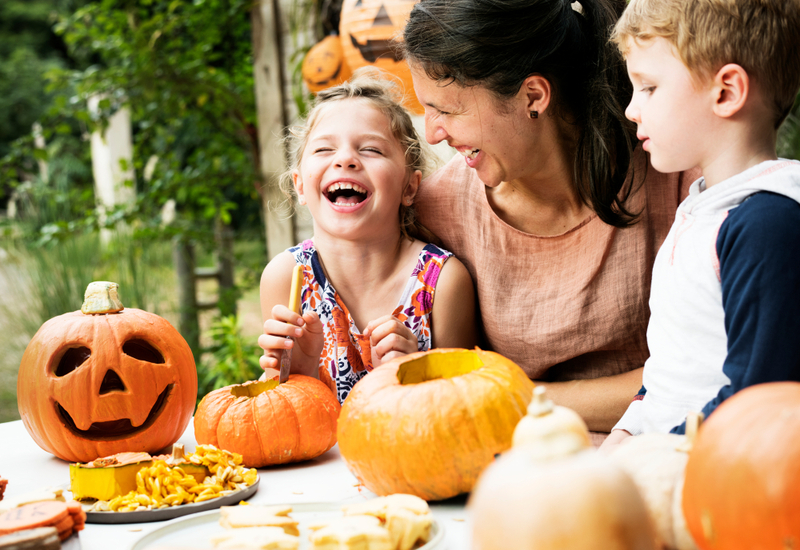 Finding the perfect pumpkin (or pumpkins) can be a family fall highlight. Rather than picking out a sad grocery store pumpkin, check out the Park City Nursery and enjoy hunting through their pumpkin patch for your family’s future pumpkin masterpiece. Combine learning with a spooky fall activity when you visit The Art and Science of Arachnids exhibit. Open from Wednesday through Sunday from 10 am-4 pm, this exhibit has 100 live arachnids with information surrounding our literature, folklore, art, and more concerning these fascinating creatures. If you are in Park City on October 13, you should try your hand at crafting fun fall projects at ARToberFest. From 1-5 pm, this family-friendly crafting festival will be open to the public with free or low-cost fall DIY projects available. For reliable real estate information concerning Park City, you should contact Jensen and Company. Brad Jensen has been helping people buy and sell Park City real estate for decades and can help you too.